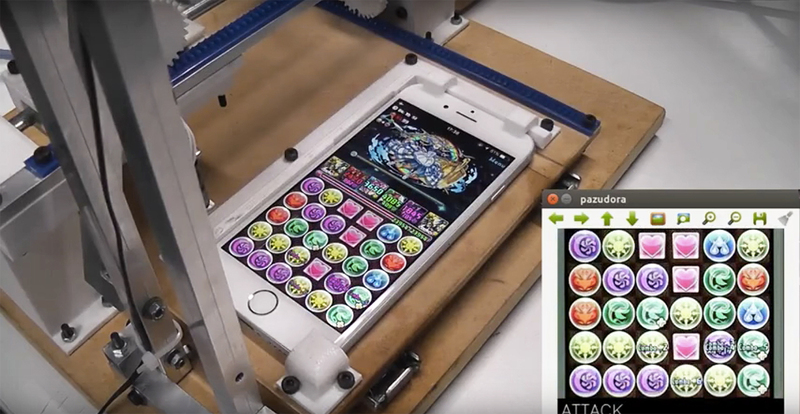 Why Is This Robot So Good At Puzzle & Dragons? I have trouble passing the tutorials sometimes. Puzzle & Dragons is a veritable force of nature, and chances are you've played it at some point. It's even gotten a spinoff from Nintendo featuring Mario and the gang. It's simple to get into and even easier to become addicted. But it's hard to become a master. I'm living proof of that fact, and that's why I'm so freaked out by this robot, which is really, really ridiculously good at Puzzle & Dragons. The robot, created by Junya Sakamoto, is connected to a laptop. It uses its computing power to create chain in Puzzle & Dragons for max combo points and is totally ridiculous. Seriously, why is it so good at that game? Be right back, commissioning one of these robots to help me finally ascend to the top of the leaderboards at Candy Crush Saga. That thing would make millions.